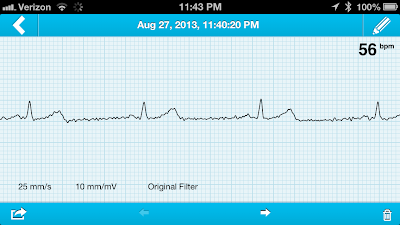 The AliveCor Heart Monitor device is an iPhone case that provides ECG recording as you hold your device. 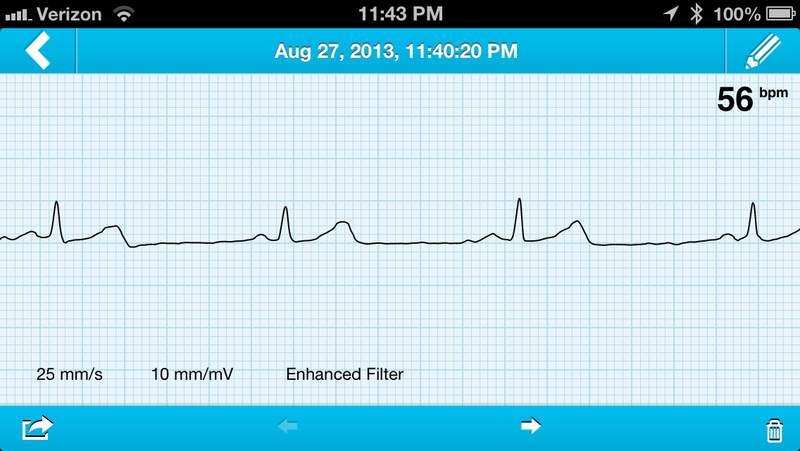 After you record an ECG, you can switch views from the Original to Enhanced filter. I'm very impressed by the quality of the ECG readings you're able to capture using the AliveCor Heart Monitor iPhone case.